Congrats Jenny!!!! I'll be emailing you shortly for your information and choice of colors. Thank you everyone for joining in the hop and leaving great comments!! 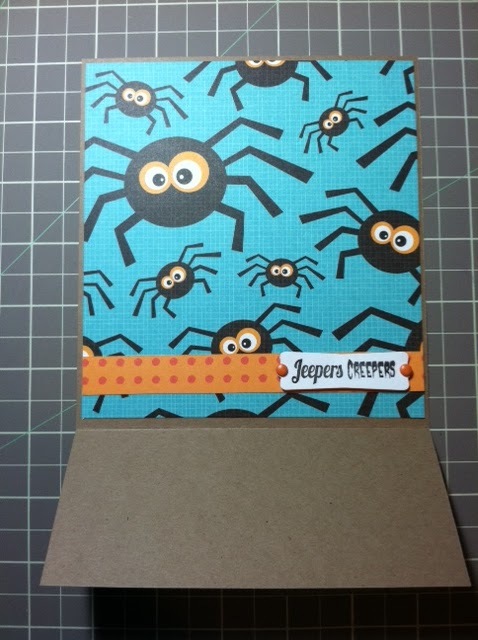 Be sure to check out projects from the Scrappy Mom sisters all week!! I hope your having a great Saturday! 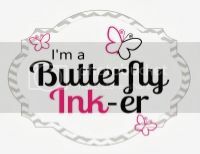 I'm sure while you all are reading this, I will be at work (boo hoo for me) but you all have tons of amazing projects from the Scrappy Mom Sisters! Welcome to the Halloween Hop!! You should have arrived here from Cristina's blog but if this is just where you are starting, be sure to head over to Mel's blog as she is starting off the Hop and you don't want to miss a stop! 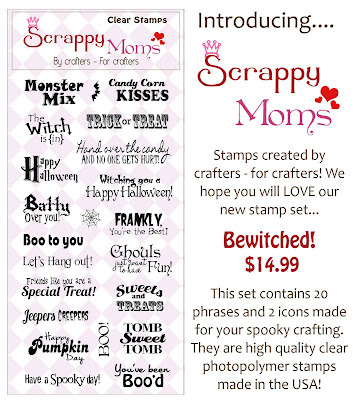 Today we are showcasing Scrappy Mom's newest released stamp sets called Bewitched and I absolutely LOVE them....Take a look at them below. Unfortunately, I do not have a completely finished project to show you. 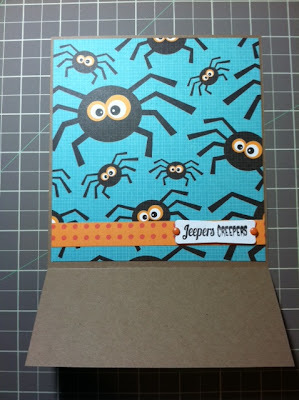 This past week I've been taking my time and working on a Paper bag mini album. 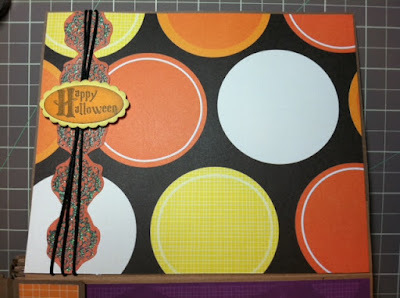 This is my very first one, so its taking me a little while but Kathy, from Paper Phenomenon, has absolutely fantastic tutorials on Ustream.tv!! She's my inspiration. So, as my album isn't quite done yet...I thought I'd share with you all a few tags and one page that has been completed. I hope you guys enjoy it and I'll be sure to film a video once the whole album is done. 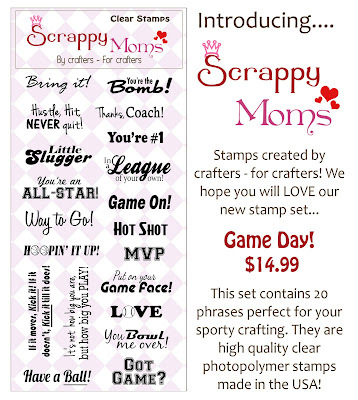 Scrappy Mom's is giving away a stamp set of your choice to 1 lucky winner !!! 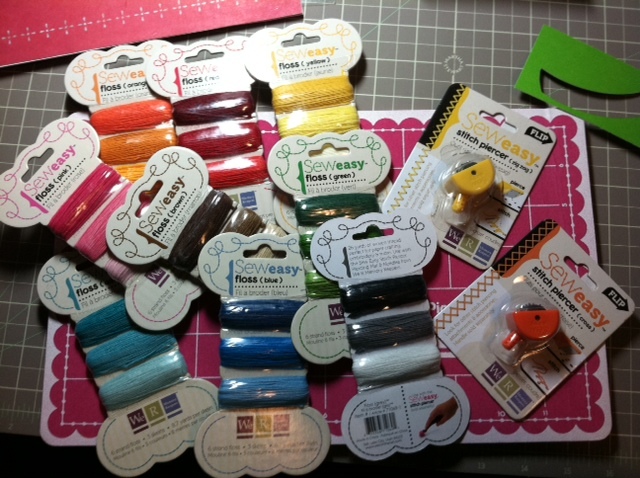 All you have to do is leave a comment on each of blogs along the hop and your entered to win!! I will be personally giving away your choice of any 8 colors of twine from Scrappy Mom's!! That's a total of 80 yards of twine!!! You can view all of the colors HERE. Please only 1 comment per person and be sure to leave your email address in your comment so that I can let you know that you won. Deadline is Sunday @ 10pm EST. Winner for the Twine will be announced on Monday! I must say TGIF!!! This week I've been crazy busy at work and staying MUCH later than usual and its totally throwing me in a funk! But the week will be over by the end of the day! HOORAY!! 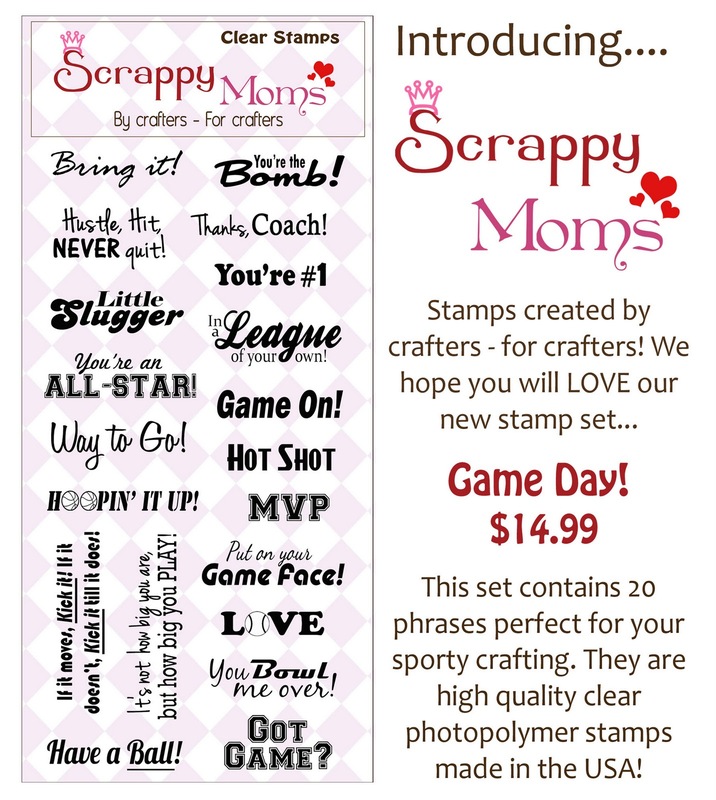 Welcome to another Release for Scrappy Mom's Stamps!! Tammy and Mel have done it yet again with 2 NEW stamp sets that are just absolutely FANTASTIC! 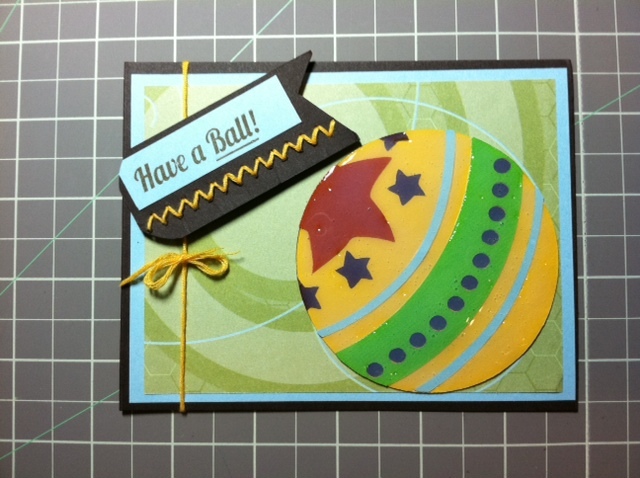 You have one for your Sports themed projects--GAME DAY and the very exciting Halloween Set -- BEWITCHED! Today, I'm using the Game Day for My Project. At work as while back I was able to get some precut cards for an AMAZING price!!! 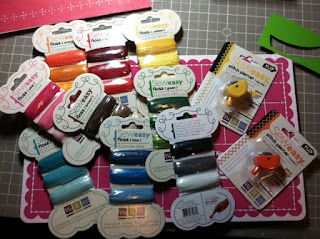 Each pack contains 25 -- 5.5" x 5.5" and I got them for $1.00 Each!! What a steal :) Of course I got one of each color that was available. These are great because not only are they sturdy, but they can be cut down to any size that you would like! 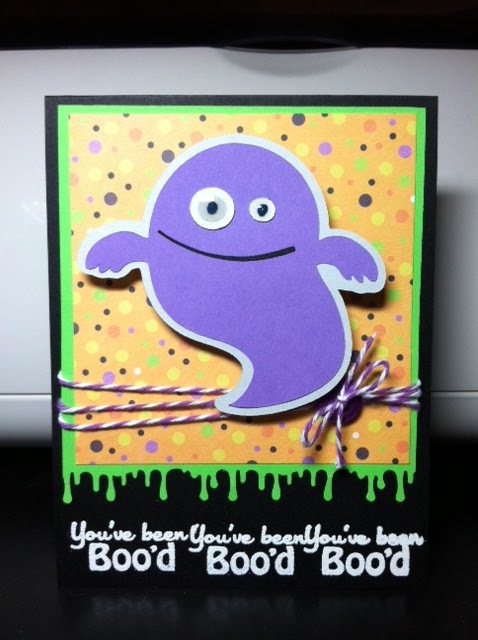 I then took my barely used Nate's ABC to make the cut for my card. And there is the finished product. 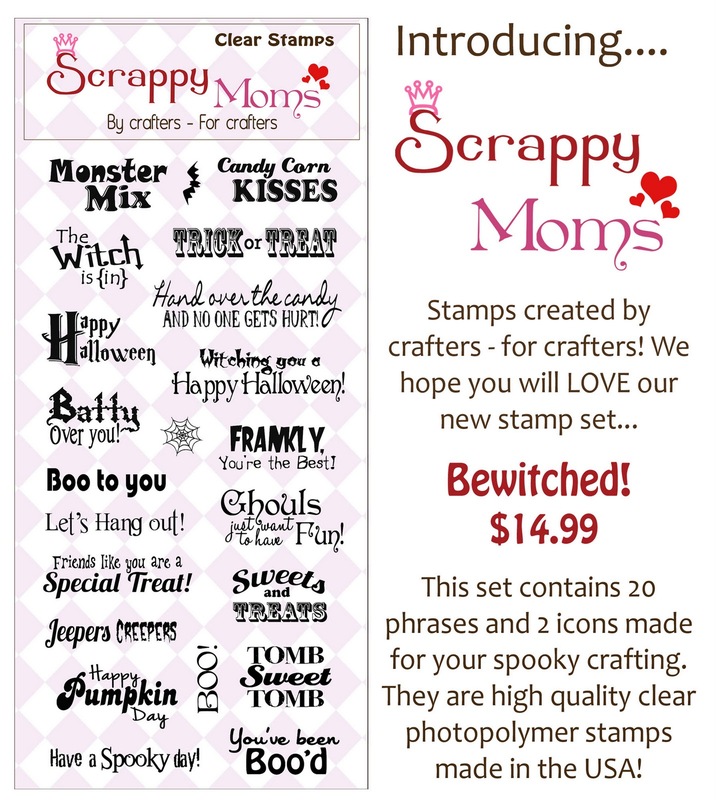 Be sure to check out the Scrappy Mom Sister's projects by clicking on their name in the right sidebar AND be sure to come back tomorrow for our Halloween Hop!! Hope you have had a great day.....i'm yet again late on posting :( I do apologize for that! As some of you may already know, the TTC for this week is to use Country Life! I've been needing a little extra inspiration or direction lately, so I turned to a fantastic Magazine that I won as a giveaway last year. Sometimes, you just need a little guidance and thats what I love about sketch books/magazines.....below is the sketch I decided to go with. Hope you guys have a Fantastic Week!! Sorry I've been gone for a little while.... The last few weeks have been a little busy with company, but it has certainly been fun!! Over the last week, I've been brainstorming and working on a Frame for my desk at work. I found a wooden frame at Michael's for $1. I started out by painting it white. Here is the flame completely covered and trimmed. And then I just embellished the frame and added a photo from our Vacation in Grand Cayman!! Hope you guys enjoyed this easy and Inexpensive project!! Have a great weekend! !